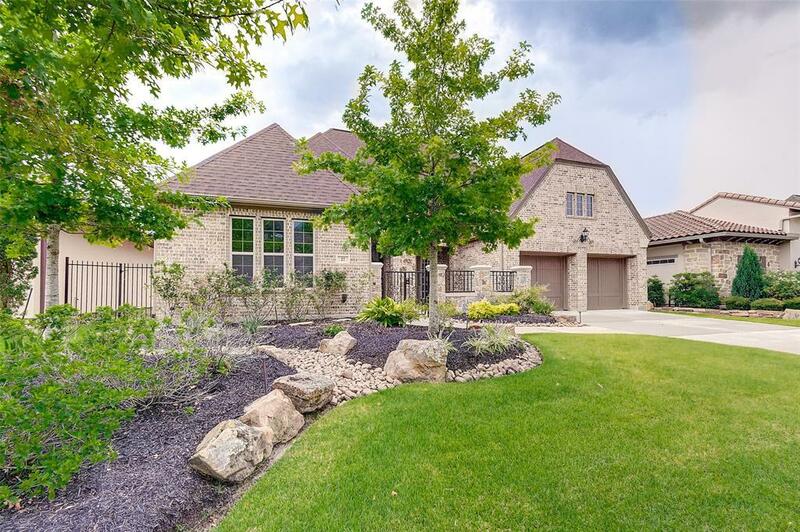 Better than New and Stunning, this customized 1.5 story Darling Home has a fabulous extra largewrap around outdoor covered patio with brick fireplace & outdoor kitchen! Access the coveredpatio through French doors from the Study, Sun room & Breakfast Area. 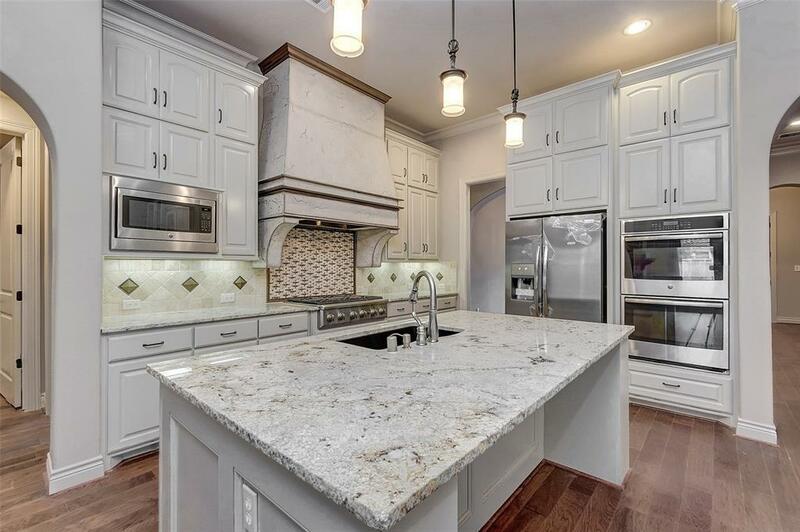 Amazing features includea gourmet kitchen & large granite island w/ stainless steel GE Monogram appliances,Refrigerator Included. 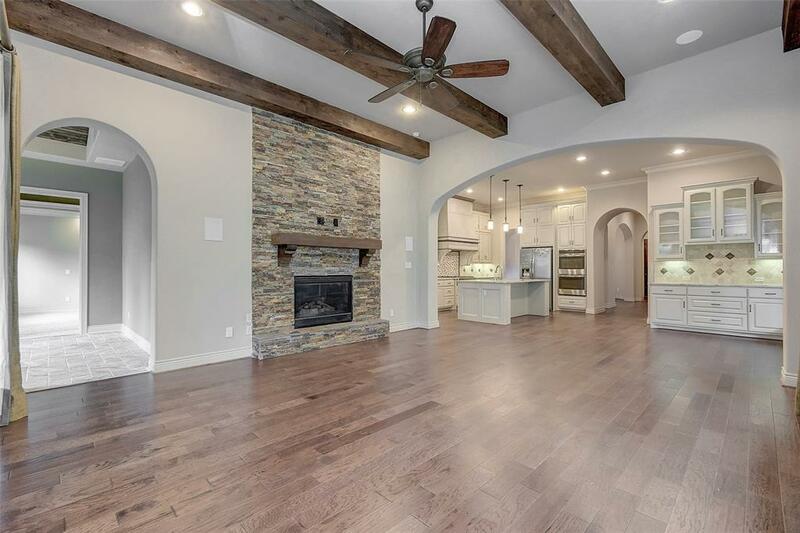 Stacked stone fireplace, hand scraped hard wood floors, high ceilingsthrough-out, wood beams adorn the living area. Expansive Owner's suite w/ custom cove ceiling &accent lighting. 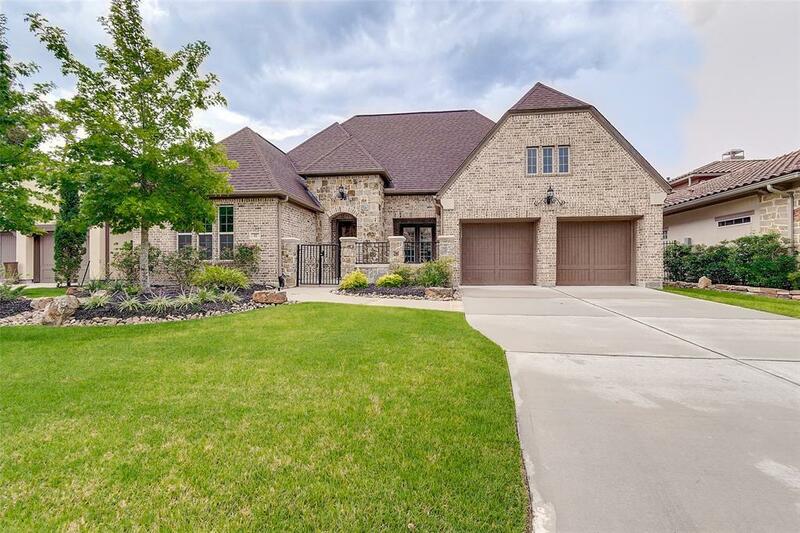 The room has plush carpet and double crown molding, serene bathroom w/largegranite vanity, double sinks, separate tub and shower, and upgraded walk-in closet w/customcabinets. 2nd floor is a Media room w/ all equipment included, projector screen, projector,surround sound equipment, DVD player, etc. This floor also includes half bath & wet bar up,great for entertaining. Electric shades in living room.